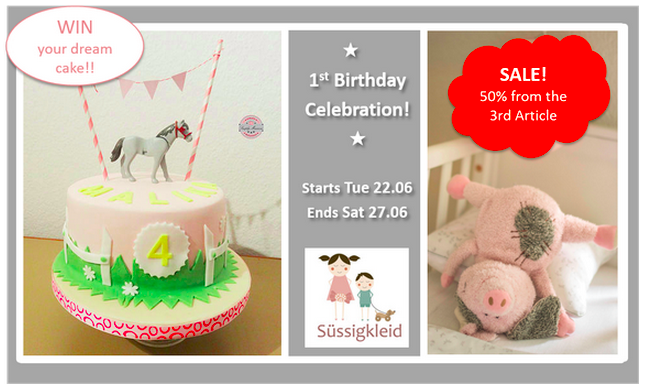 This week I’ve been working on Süssigkleid‘s first Birthday. As you might remember, Süssigkleid is a Children concept store in Zürich and the first business I’m helping with marketing strategies and activities after having left my corporate job in Sydney to follow my husband back to Europe. If you’re in Zürich, come for the whole week of celebration with sales and a beautiful cake from our favourite chef Simply Macaron to be won. I’ll be there on Saturday morning to cheer with you and indulge with petits fours. Address and details here. If you’re not in Zürich, then read on about how I ended managing Facebook accounts and loving it. While I’m well trained with the whole scope of marketing services from business cases and financial plans down to creative development, I am now fully aware of what I love doing vs what I don’t. I love managing Facebook accounts! What were the early signs? Back in November 2008 when I had my first child, smartphones where not widespread in Australia. I remember I had to ask my husband to bring a modem and my laptop to my hospital room so I could update friends and family through my blog. With my second child, all I needed to bring is my charging cable. it’s trivial. It doesn’t seem to have a barrier to entry to make it a profession, no need for an MBA and 15 years experience in blue chip companies! Millennials, Hipster and any graduate sounds more qualified it as they were born in the digital and well versed in that area, how can I stand out and show added value? I’m no PR expert. I’m trained in business and learnt on the job about communications, writing and developing visuals that stand out and are appealing. However I’d panic if I had to do crisis management and although I can train customer service staff to meet business objectives, I don’t have the patience to be one myself. Why can I still succeed? Facebook is mostly used by mums. That held true in Australia and now in Switzerland. Apparently kids say “Facebook are for parents”. There you go! And who understands parents better than parents themselves! Boom! I know the product (where to click to do what o Facebook) and am happy to spend hours understanding how to set up an ad, including targeting, creative guidelines and budget management. We’ve been seing some great impact with Süssigkleid’s business since we’ve started in January. Here’s Süssigkleid’s Facebook page, let me know what you think. Previous article We’re moving to Norway!